Village Glen Retirement Living came first in Capel Sound with more than 600 villas and apartments. 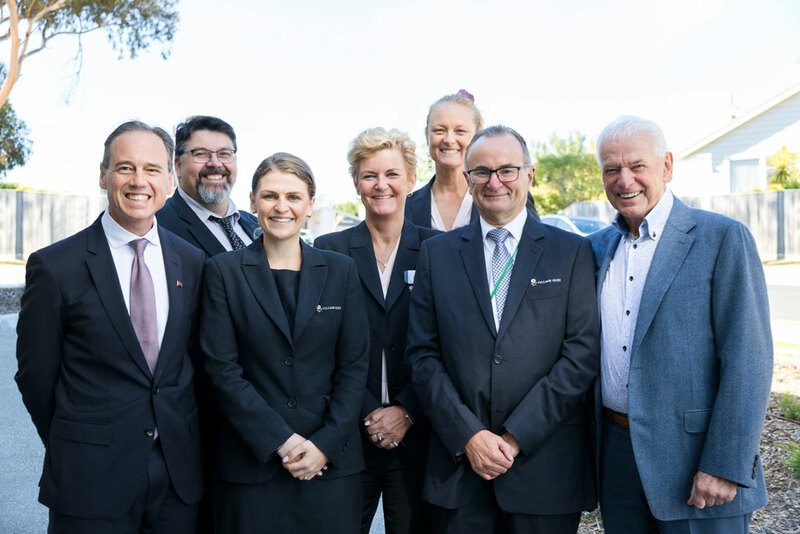 Aged care residences followed later, with two state-of-the-art facilities in Capel Sound and Mornington. Village Glen completed its continuum of care model with Flexicare Home Support, which offers both home care packages and private in-home services. Another aged care residence in Baxter is in the design stage. Village Glen is all about people caring for people. More accurately, it’s about the Village Glen family caring for your family. But that isn’t where the family analogy ends. There are countless families working at Village Glen to care for your family. That’s right — Village Glen employs husband and wives, mothers and daughters, fathers and sons, sisters, cousins, nieces and uncles . . . the list goes on. Today, more than 15 per cent of the Village Glen workforce has another family member also working there. 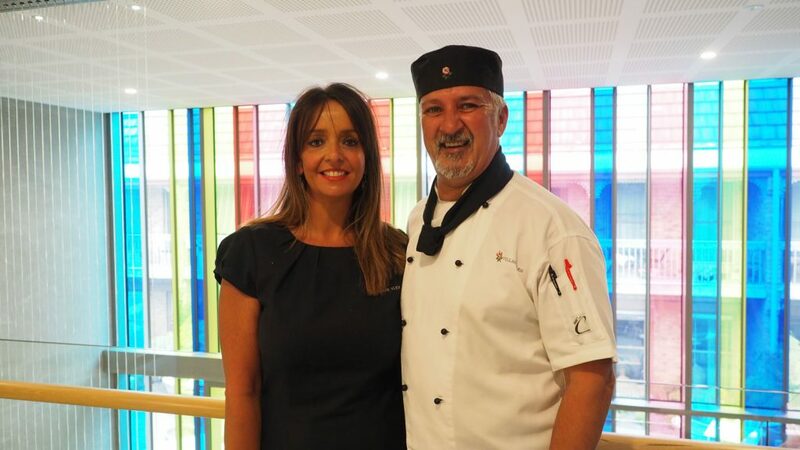 Flexicare Home Support partner Mandy and aged care executive chef Bernie are integral members of the Village Glen family. The variety of staff and skill sets working at Village Glen is incredible. From nursing to admin, maintenance to catering, cleaning to housekeeping, every role at Village Glen is unique, as is every individual who works here. 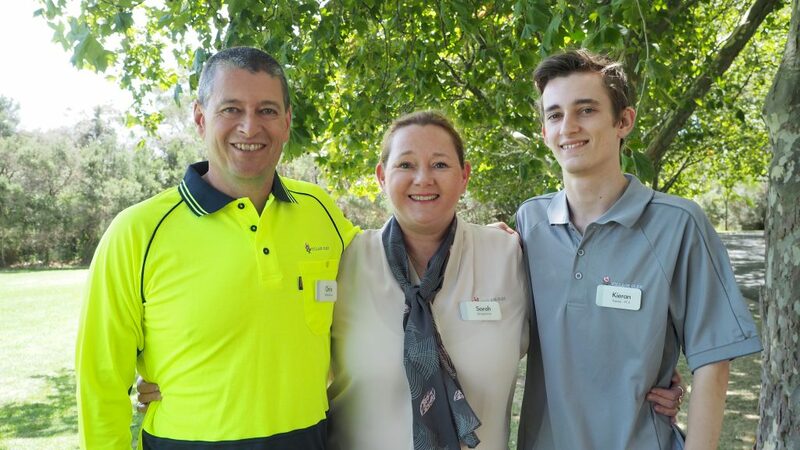 Chris (maintenance), his wife, Sarah (reception) and their son, Kieran (PCA) epitomise the family ties at Village Glen. If you are interested in working at Village Glen, or if you or a family member are considering aged care options, come and see why Village Glen might be right for you. 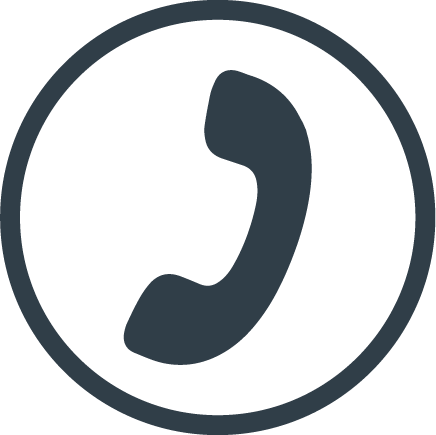 The team will be only too happy to show you some of the many reasons to join the community as a client or staff member and become part of the Village Glen extended family.